© Ashishraj Jayseela. All rights reserved. A girl in a tribal region of India playing with hand made scales and weighing stones with sand. 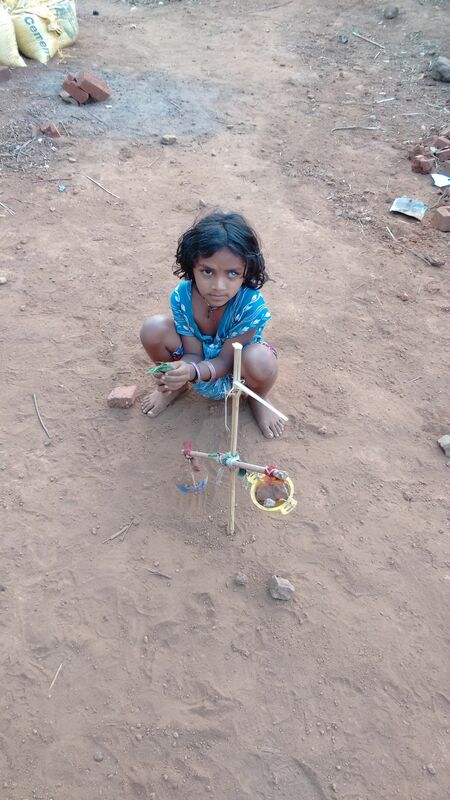 In a world where a single toy is a luxury no one can afford, life makes do with what is there and this homemade crude weighing scale is the only way this girl can try an balance in an unequal world. Date Uploaded: April 20, 2015, 3:12 p.m.